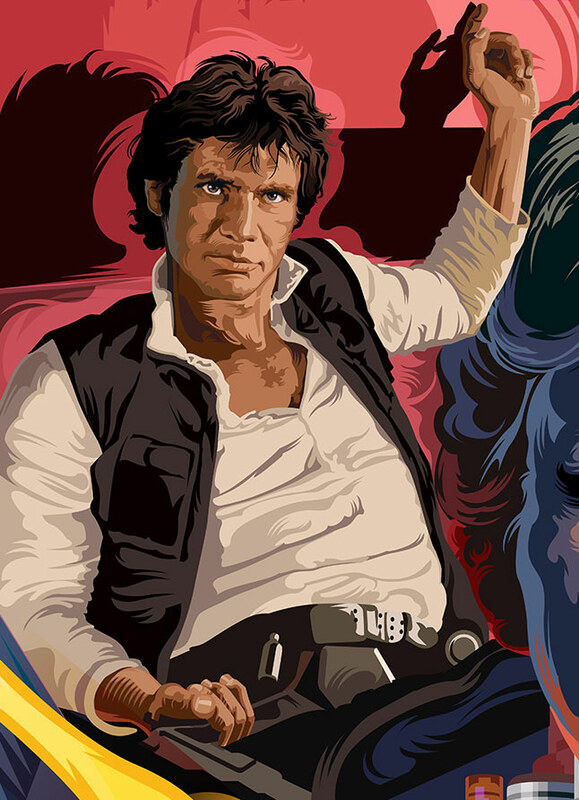 This portrait and poster montage of Han Solo from Star Wars is created in Adobe Illustrator. 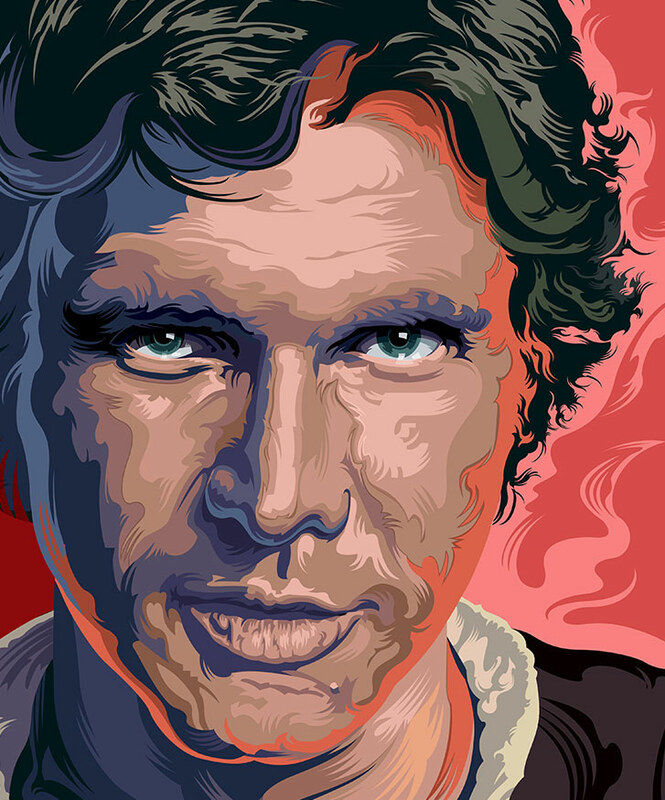 I created this portrait of Han Solo as part of a an ongoing series of Star Wars illustrations. 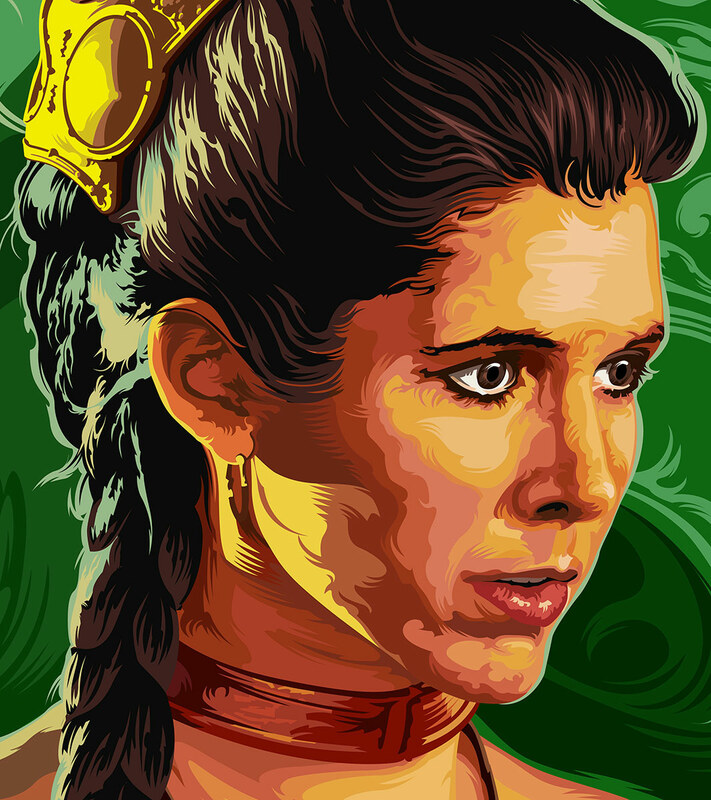 My goal is to create a portfolio of Star Wars characters rendered in a distinct personal style that will generate interest from licensed distributors of franchise art. 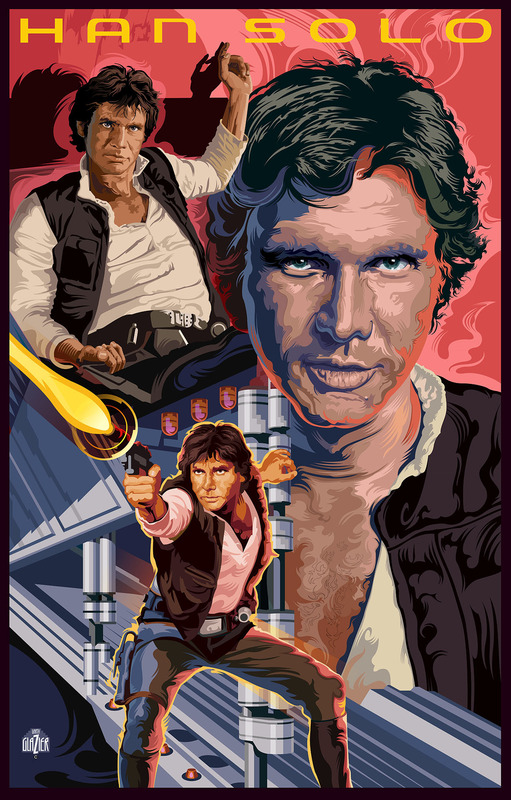 This project involved creating a Portrait and a Poster montage depicting Han Solo as the mischevious "bad boy" that Lucas envisioned. 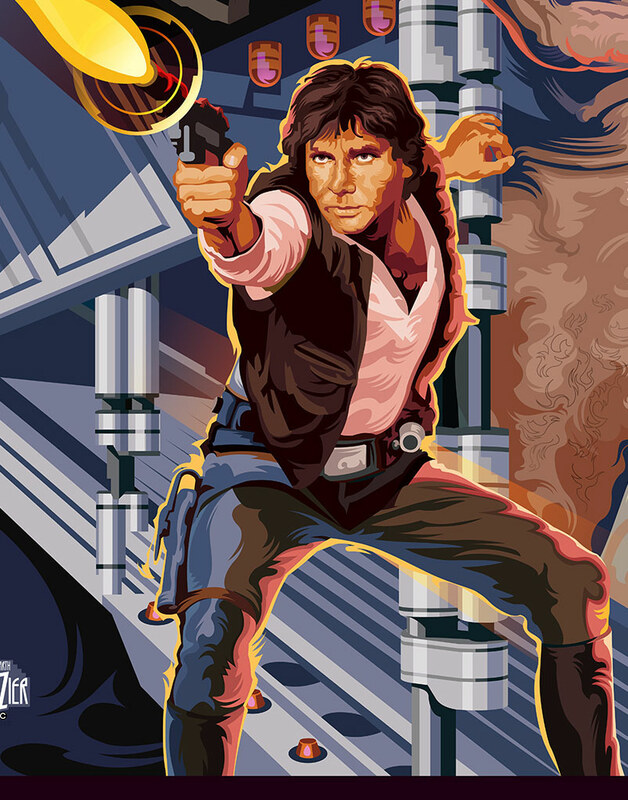 I subscribe to the school of thought that says Solo shot first in his confrontation with Greedo. 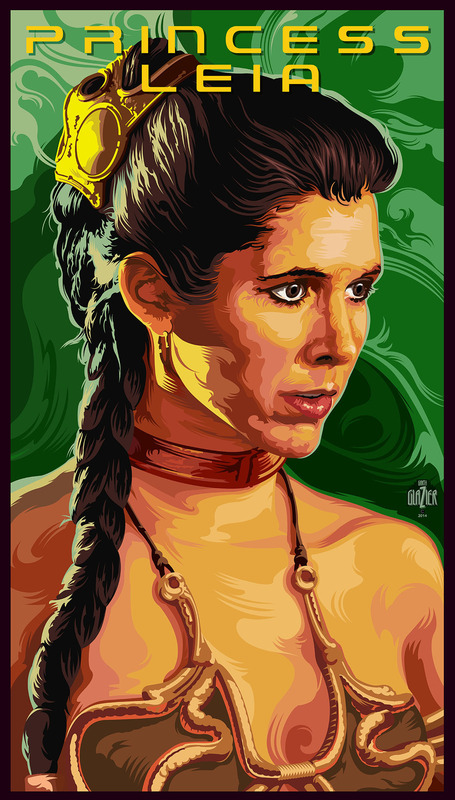 This is a companion work to the Han Solo portrait and is a study for a larger poster featuring Princess Leia on Tatooine. 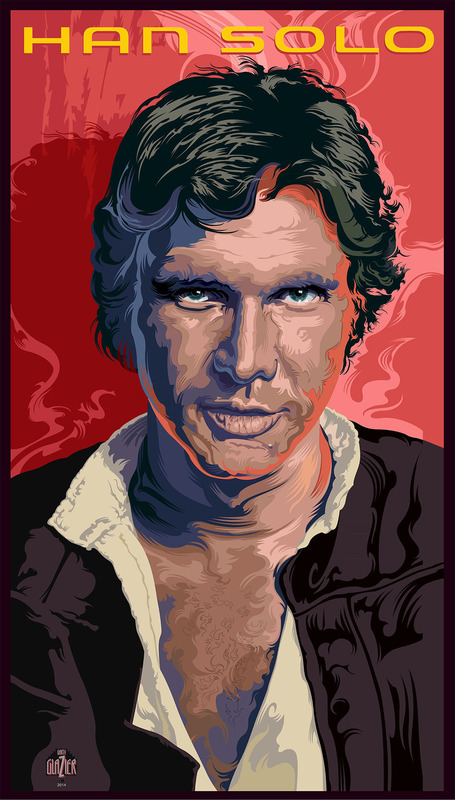 The poster design was a greater challenge than the portrait. I chose an orange blue complimentary color scheme balanced with grey tones to depict the hot and cold aspects of his personality. I always like the bar scene where Solo casually engages Greedo in conversation while secretly aiming his blaster under the table. A great character.